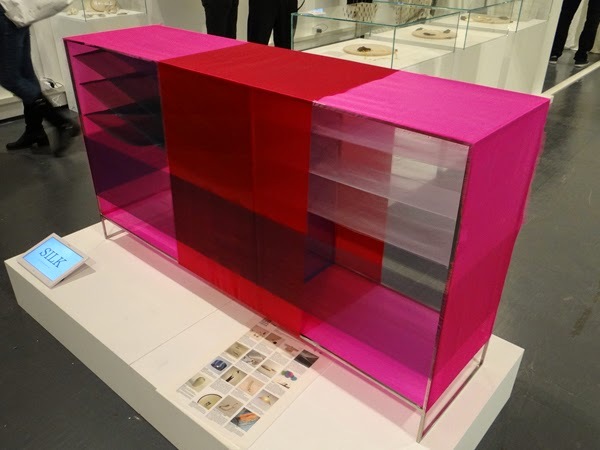 La Triennale di Milano's exhibition Rong focuses on the use of traditional materials originating from the Chinese town of Hangzhou. 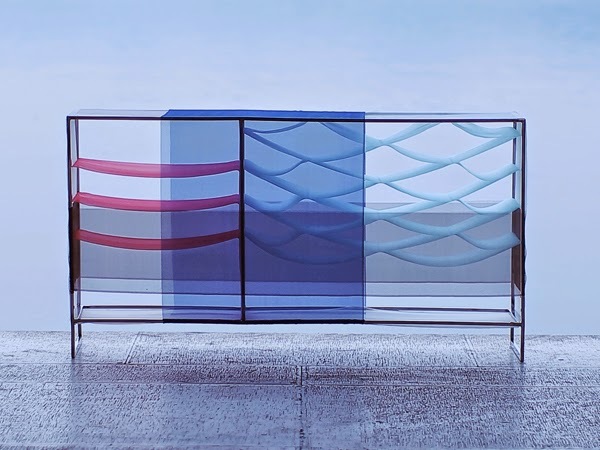 The 17 designers innovatively use bamboo, silk, copper, porcelain and paper to create a range of unorthodox furniture, lighting and accessories for the home. 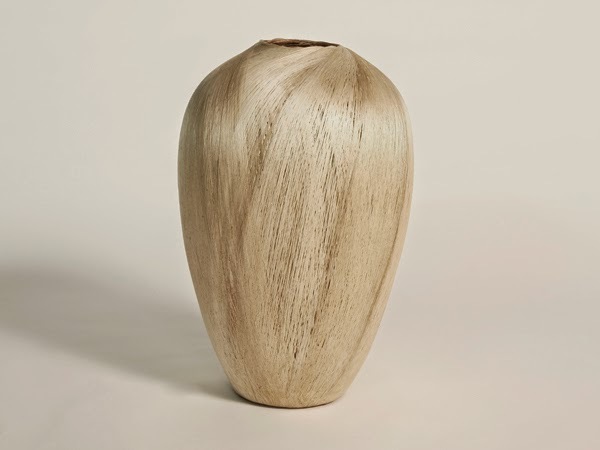 Christopher John demonstrates the diverse properties of raw silk, by manipulating silk fibers into a series of vases and tableware called Shine. 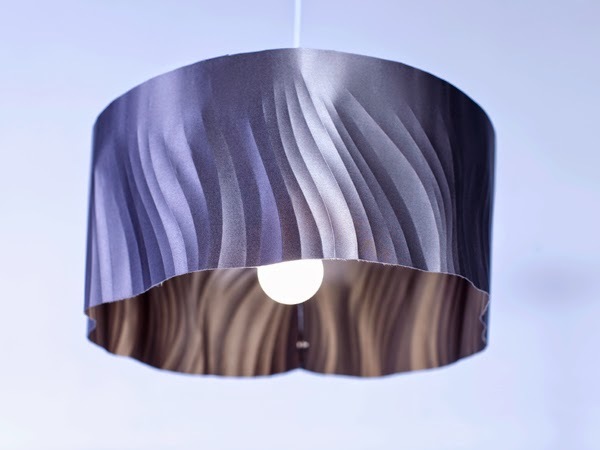 Designer Zhang-Junjie exhibits Breeze, a pendant lamp made from a fabric hardened silk composite, creating the rippled movement from a light-weight fabric surface. 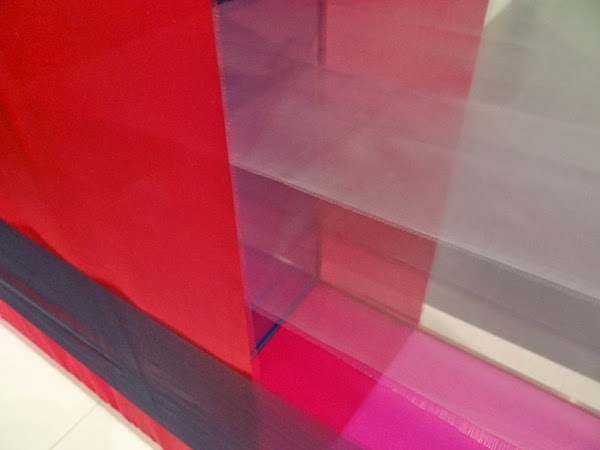 Jovana Zhang wraps and stretches layers of silk in varying directions around the frame of a cabinet, playing with levels of colour and layers of transparency.